※Sorry,Link is made in Japanese. 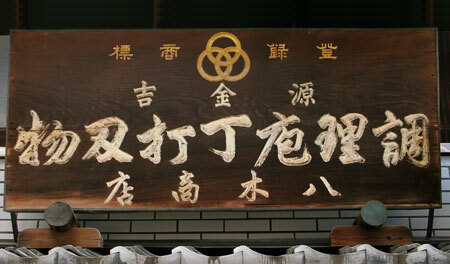 ”Gen Kinkichi YAGI HOUCHOUTEN“ was established in Kyoto, in 1854. Our history started off with the making of Samurai Swords. In 1869, the business progressed from swordsmithing as the Japanese government had abolished the wearing of swords at the beginning of Meiji period (Samurai era). This evolution led to a new business of producing fine kitchen knives and various types of handmade kitchen utensils. Our valued customers are not only professional chefs but also all who love to cook for their family and friends. 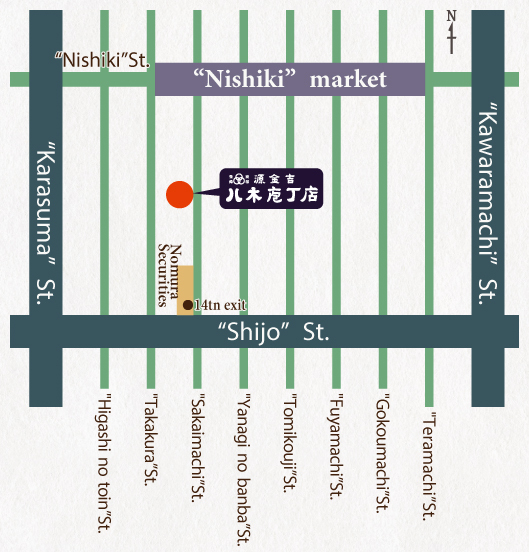 That is close to the Nishiki market. Hankyu line Kawaramachi station / Subway line Shijo statin Under grand pass Exit 14 walk up to the north. 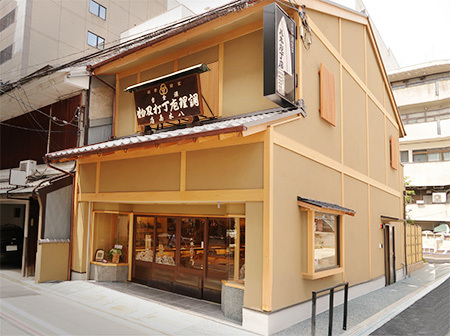 From JR Kyoto Station, take either one of the city buses or 17 Kyoto buses and get off at "Shijo Takakura". Walk east and turn left (North) to the north of "Nomura Securities".